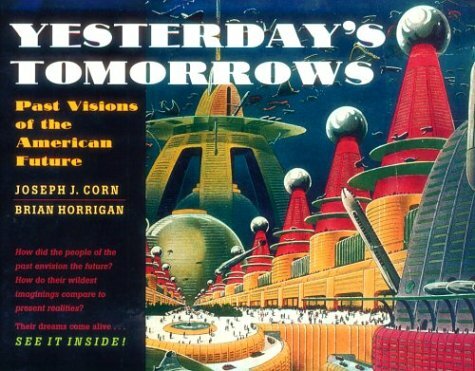 In 1953, columnist Henry McLemore made it clear that he hoped to be dead and gone before "the future" arrives. What was McLemore so concerned about? All those damn flying machines — 20 million, in theory — that would be buzzing around by the year 2000. McLemore was upset by the predictions of one Major Alexander P. de Seversky, who made his name in the U.S. during World War II with a book called Victory Through Air Power. In the postwar world, de Seversky predicted that the skies would soon be filled with millions of helicopters. But McLemore was having none of it. In a syndicated column that appeared in American newspapers on October 12, 1953, McLemore — a man who's best remembered today for his hate-filled promotion of the idea that Japanese-Americans should be forced into camps during World War II — was convinced that the civilian-piloted helicopters of tomorrow would lead to disaster. And McLemore was pretty happy that he wouldn't be around to see it. I am very grateful for Major Alexander P. de Seversky. The man is a great comfort to me. Whenever I feel sad about not being able to be around to celebrate New Year's Eve in the year 2000, or to see the Kentucky Derby of 2051, or to hear a crooner sing "I Believe" for the billionth time in 2053, I always think of the Major. Well, not so much the Major, as the predictions for the future which he gives out on all sunny or overcast days. The Major's tomorrow is one that makes me happy that I will be out of it all, gliding about on my wings, looking for a Heavenly milk and honey stand that sells "All You Can Drink for 15 Cents." The well respected de Seversky, much like the aviators who would come before him, always had his eye on the future. McLemore pokes fun at de Seversky's constant stream of new predictions by giving his latest an absurdly high and random number — and labeling it a bulletin of things to come. Last week (on a sunny day) the Major issued Bulletin No. 222,441 on Things to Come. It dealt with what will be happening in the skies 50 years or so from now, and it is a pretty terrifying picture that it paints. For one thing, he said, that come 2000 A.D. would be 20,000,000 helicopters over America, "hopping around like fleas." Figuring five people to a helicopter, that will still leave something like 100,000,000 folks on the ground, and I'd like to ask Major de Seversky what they'll be doing. Hopping won't be enough. That's for sure. The comparatively few helicopters we have now occasionally cause the skies to sound like a giant cake mixing bowl. With 20,000,000 helicopters stirring around, you can bet there will be at least one baby in a million of them, and you don't have to have the imagination of the Major to visualize them throwing things out and down. With a million babies dropping things, small states like Rhode Island and Vermont will be lucky to survive the obliteration on the first Labor Day weekend. And such nice states, too. McLemore then gets into one of the most common concerns raised by people about the prospect of flying cars (or in this case, personal helicopters): If people are such terrible drivers on the road today, what makes us think they'll be any better in the air? What about accidents? The Major says electronics will make them impossible. He can tell that to the Man in the Moon, who, by the way, the Major says we will be able to reach in three and a half hours. The same sort of people who are driving automobiles today will be at the wheels of helicopters and a little thing like radar isn't going to stop them from banging into the helicopter in front of them at red lights, or making the wrong hand signal when banking into Milky Way Drive or Celestial Circle. Anyone who works in the garden on a Sunday afternoon will be crazy, what with helicopter fenders and tail lights raining down. The only creatures who'll be safe are moles, and perhaps turtles and armadillos who own tin hats. Parents, particularly mothers, won't get much sleep what with children dating in helicopters. They won't close their eyes until they hear something land on the roof and they won't know then if what has laded is all in one piece. With all the travel by air — and the Major says the car will be as obsolete as the horse and buggy — there are bound to be drive-in hamburger stands in the sky. People will demand them. How would you like to be hit by a carhop who has slipped and fallen 20,000 feet? Or by a double-dip chocolate float? The Major predicts that mail and freight will be shot around the world in guided missiles. These wouldn't be very nice epitaphs, would they? Until he got hit by Parcel Post. Yes, you can have the Major's year 2000. McLemore is really only remembered here in the 21st century for being a despicable bigot. "Personally, I hate the Japanese," he wrote in 1942. "And that goes for all of them." So even though we don't have 20 million personal helicopters dotting our skies, let me agree with just one of McLemore's statements: we're pretty happy you didn't live to see the future either.